Birth wt. 91 lb., adj. weaning wt. 692 lb., ratio 113, adj. yearling wt. 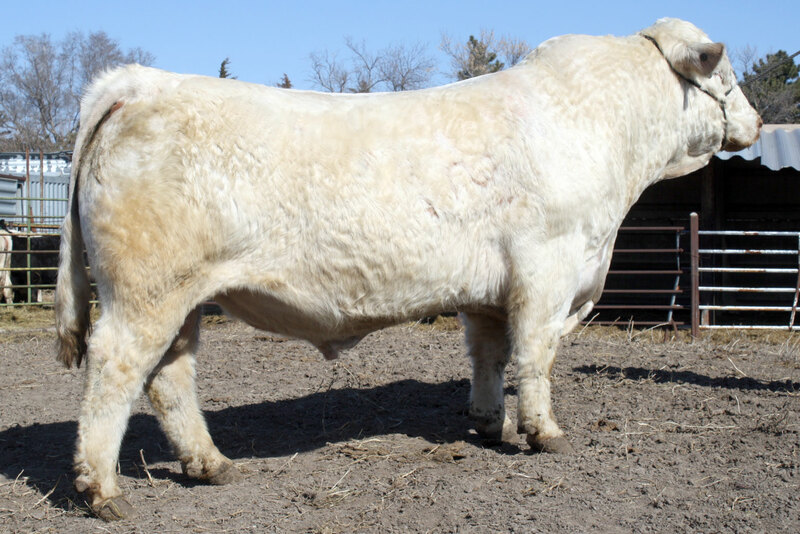 1,409 lb., ratio 112 After selling 2/3 interest for $20,000 in the 2010 Sonderup Charolais Bull Sale to Ken Thorne, Independent Foundation, Bronco has proven with every calf crop his value as a breeding bull. 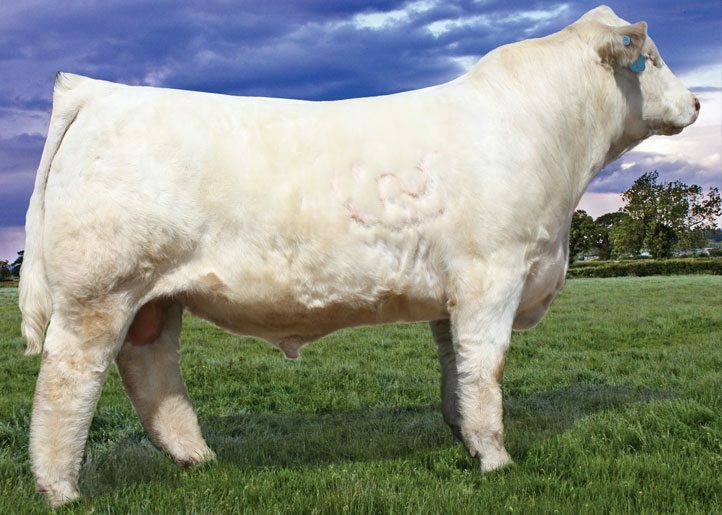 Then 2/3 interest and full possession sold for $10,000 in the 2013 SCR & Friends Sale. 74 progeny born in 2011 sired by him were registered at AICA. His first daughters sold in the inaugural SCR & Friends Sale event in December 2011 at weaning age for $3,000, $4,100, $2,000, $4,250 and $4,250. 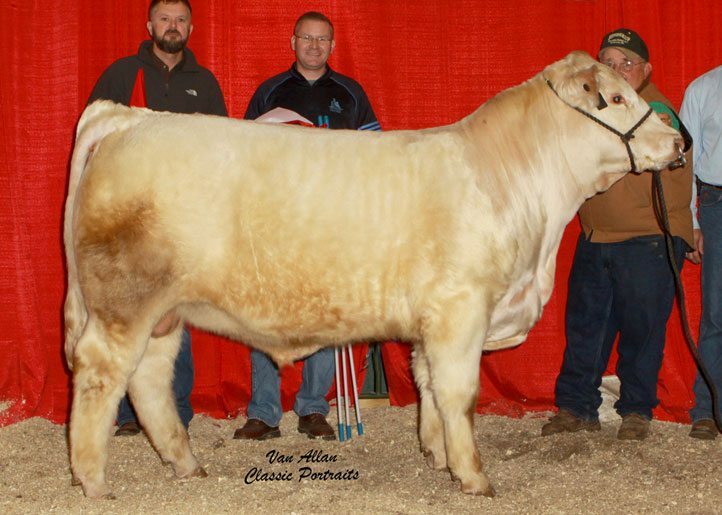 In the 2012 Sale, one open weaned daughter sold for $4,600 and three of his bred heifer daughters sold for $4,100, $2,800 and $3,500. 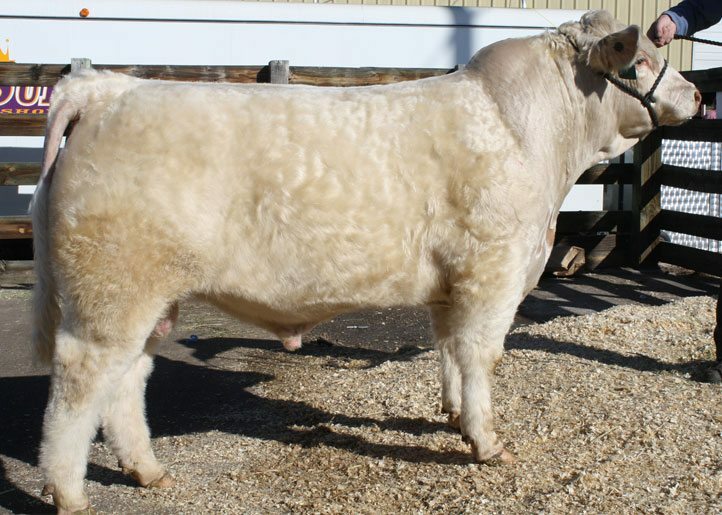 One of his sons topped the 2012 Sonderup Bull Sale at $8,000 and another son topped the 2013 SCR Bull Sale at $14,500!